[By Nick] Some people consider Steve's as a carbon copy of Jeni's. I can't disagree with them there. The original Steve's packaging is similar, flavors are close and methods for sourcing ingredients are reminiscent of Jeni's as well. The only difference I really see is that Steve's charges a lot less for their products and I've rarely have been let down by a flavor. With Jeni's still not in markets, Steve's has another Jeni's-esque flavor out. 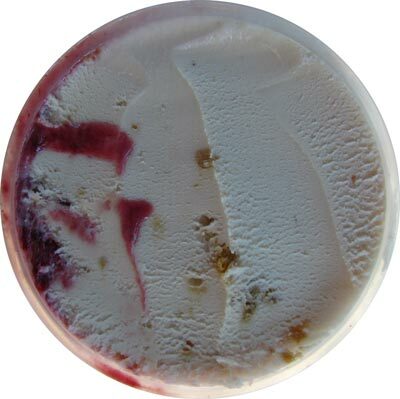 You remember Jeni's Brambleberry Crisp? Well, meet Steve's version. This flavor sounds a lot like Jeni's and even looks the part. The difference is, this one tastes a lot better. 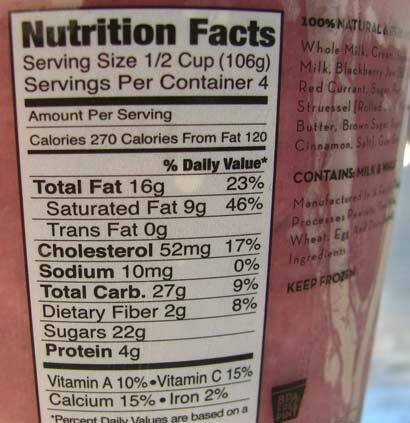 First off, the vanilla ice cream is more of a vanilla bean‎. Very rich, slightly floral and all kinds of delicious. There's just something about a clean, vanilla bean flavor that's addicting. To add to that, there's a ton of blackberry jam mixed in. The vanilla is strong but it doesn't overpower the blackberry flavor too much. 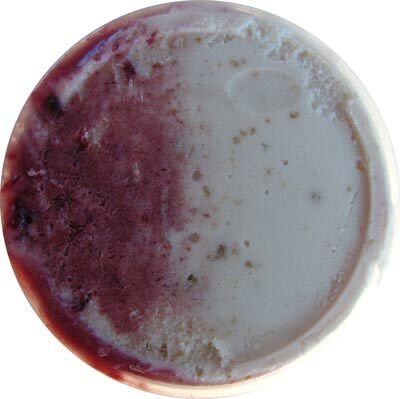 You get a nice, tart and refreshing berry flavor that compliments the vanilla bean perfectly. To seal the deal, Steve's loads this flavor with tons of streusel chunks. There isn't any skimpiness going on here like in another brand. These nuggets add bursts off oat-y, cinnamon goodness. They're crunchy and add the perfect amount of texture to the ice cream. This is a well-executed flavor all around. 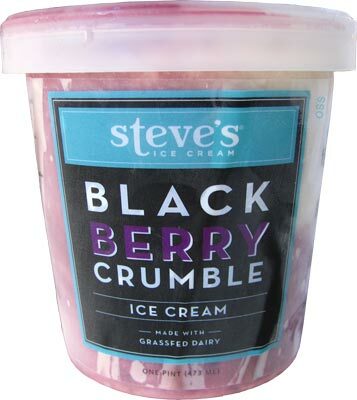 For the Brambleberry Crisp lovers out there, I think Steve's has created a permanent replacement for you. I've been very happy with all of Steve's flavors. I even accidentally bought a dairy free flavor, and I didnt realize it was not actually ice cream right away. It was that good. I think when Jeni's does come back, they will have to really rethink marketing and price structure. Steve's is better and cheaper, and Mcconnells is out of this world amazing and cheaper. I must of got a bum pint. My Whoopies and Pie was literally one MASSIVE whoopie pie from start to botom. My blackberry crumble had maybe 5-7 pieces of the oat streusel. They were decent in size, but i found the blackberry was a bit faint. I wish this had a graeters vanilla base with that extra sugary/sweet texture/flavor which would pair with the blackberry well. It needed more flavor tasted like a watered down preserve. marianne, I agree with you 100%. Bob, definitely a bum pint. That or I got an unusual pint. Pc, I'd rather look bad for bashing them than look like a fool for praising them. I think the Steves is very inconsistent. I posted about the Whoopie Pie Ice cream my wife got. 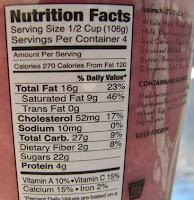 It had specs of whoopie pie in it and at the bottom of the pint it was virtually straight vanilla ice cream. Whoopie Pie it wasn't. It wouldn't even have passed for a bad Oreo Ice Cream. I giggle at every Jeni Jab.